If you're going away to college next Fall, then the writing is on the wall. Literally, the writing is on your dorm room walls with our Dry Erase Heart Notepads. If you want unique dorm room decoration that is also useful, you can't go wrong with our dorm Dry Erase wall stickers. Now don't start worrying because we used the word stickers. College dorm room buildings usually have absurdly strict rules about what can and can't be on the walls. But don't worry, our dorm stickers are 100% safe to use on dorm walls. Easy to position, and even easier to remove, our dorm wall decorations will leave behind no marks, scratches or residue. And trust us, on dorm room move out day the last thing you'll want to do is try to cover up a scratch on the wall with your white nail polish. Okay well you might not go that far, but reporting a scratch on your wall to your dorm RA is not how you'll want to end the semester. Dorm room posters and cork boards are great ways to decorate your room, but peelable wall stickers are a unique and trendy alternative to the usual ways to decorate your college space. Whether you write notes to your roommate, reminders to yourself, lyrics, or quotes, our stickers will add much needed dorm decoration to your room. 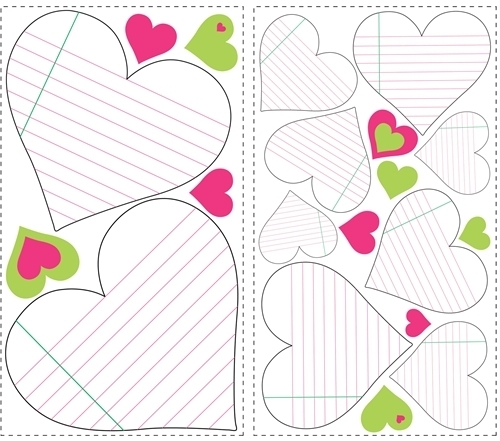 Our Heart Notepads include 20 heart shaped stickers that can be reused year after year. Moving off campus after a few semesters doesn't mean you no longer need decoration. Just because our Heart decals are perfect for decorating your dorm room doesn't mean they can't add some fun to your off campus apartment or house. 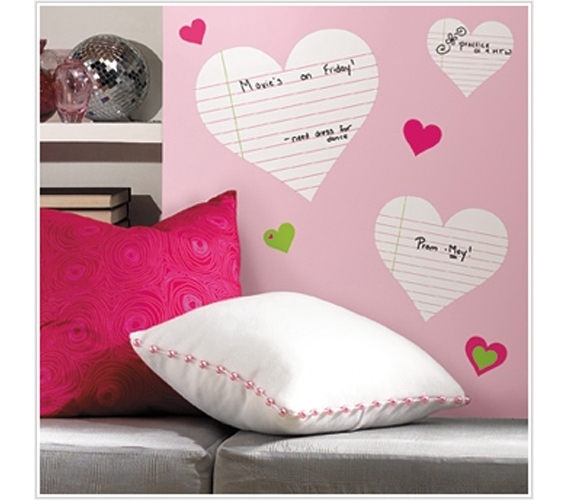 So get the best of dorm dry erase boards and dorm wall decoration with our Heart Notepads.